When it’s time to consider your automotive future, you’ve got two options to consider: buying vs leasing. 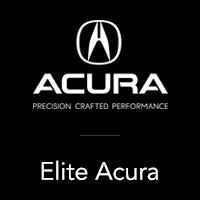 Both of these options have their advantages, but at Elite Acura, we’re here to list the pros and cons to help drivers in Maple Shade, Moorestown, and Cherry Hill figure out which option is right for them. This guide will give you a sense of both leasing and buying, so you can determine the right choice for you. Keep reading this buying vs. leasing guide to see the right option for you and your next car. There’s nothing like owning a car. It’s yours and you can do whatever you want with it. Whether you want to give it a paint job, add some accessories, take it across the country, or even sell it, you’re free to do so. When you purchase a car, you’ll need a significant down payment, roughly 10-20% of the vehicle’s overall value. The higher the down payment, the lower the costs of the monthly payments. It’s always smart to include a warranty with your new car, so you can have coverage on some standard maintenance. However, most vehicles experience the more severe mechanical issues later in their life, so be prepared to have some significant repairs down the road by opting for extensive coverage. If you’re not sure if you want to buy, you can always lease. Leasing is great because it gives you a set of wheels to help you get around. The monthly payments are much lower than if you would have purchased the vehicle; however, you’re paying off the vehicle’s depreciation, not to own it. You’ll get the vehicle for a set of years and miles. At the end of the lease term, you simply either turn the vehicle in or you can even purchase it. Leasing a vehicle is a great option for drivers who aren’t ready to take on the ownership responsibility, but there are a few factors that you’ll want to be aware of. You’re only given a certain amount of mileage per year, and if you go over, you’ll have to pay for each additional mile you put on the car. The vehicle also has to be returned in pristine condition, meaning no scratches, stains, dents, or tears. Any signs of damage will need to be paid for when the lease ends. While both leasing vs. buying are great options to consider with your new car, you’ll need to figure out your budget first. 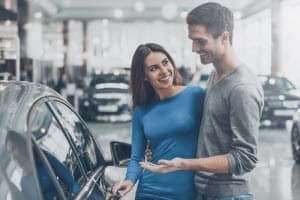 Is it the right time for you to purchase a new car? You’ll need to determine the monthly costs of buying vs. leasing a car before making your decision. You’ll also need to factor in the cost of maintenance and service, so you can get a ballpark figure on how much you’re going to spend on your next set of wheels. 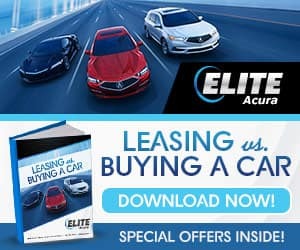 Making the choice of leasing vs. buying your vehicle can be tough, but at Elite Acura, we can help you figure out which option suits you the best. We’re always happy to help drivers in Maple Shade, Moorestown, and Cherry Hill with their decision towards their next car. Contact us today to get started on your car buying process!